In conventional photography, the light reflected off an object strikes a strip of film that contains a chemical (i.e., silver bromide) that reacts to light. This produces a two-dimensional representation of the subject. 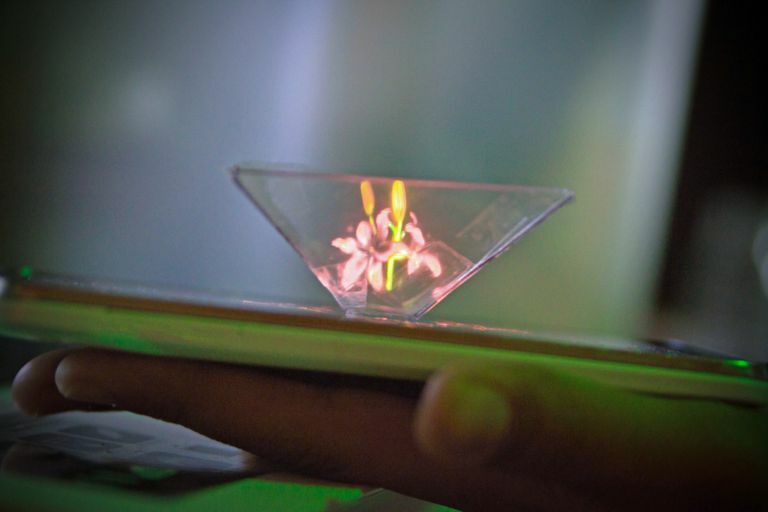 A hologram forms a three-dimensional image because light interference patterns are recorded, not just reflected light. To make this happen, a laser beam is split into two beams that pass through lenses to expand them. One beam (the reference beam) is directed onto high-contrast film. The other beam is aimed at the object (the object beam). Light from the object beam gets scattered by the hologram's subject. Some of this scattered light goes toward the photographic film. The scattered light from the object beam is out of phase with the reference beam, so when the two beams interact they form an interference pattern.